It’s the best time to go out because there’s absolutely no-one about. Not even the cat from down the road. I seem to have fundamentally misunderstood the notion of a summer holiday – perhaps deliberately so. There’s an adolescent-hued streak of contrariness creeping in here, though whereas most would display this by staying in bed as long as possible, I did it by getting out of bed as early as possible. But there was logic to this. There was television to watch, which I didn’t have time to do during term time. Plus there is (still) something appealing about riding a bike a) very early in the morning and b) in the rain. I did it just the other week, in fact, though only because I’d got up at 5.45am to see the Olympic torch relay and had some time to kill before going into work. Yes, I know. And yes, I can hear you shaking your heads. Others, meanwhile, appear to feature actors who have to my knowledge never played James Bond. Who, for instance, is this? The answer to the poster’s tagline being, naturally, “no”. 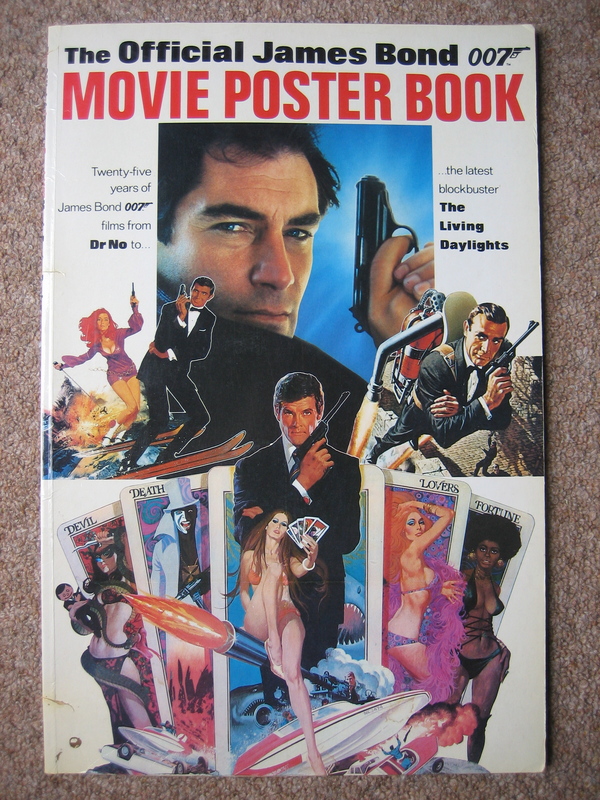 The book also contains some outrageous claims for The Living Daylights. The reader is told: “Dalton tackles a very contemporary role.” In other words, the film is set in the present day. Get away! The blurb continues: “He likes to think of Bond as a man who always lives life on the edge – revelling in fast cars, involved with beautiful women and threatening situations. Dalton’s Bond, with its ever-present threat of danger, looks set to write another chapter in the history of 007 at the cinema.” Yes – one of the worst, but thankfully one of the most short-lived. And for the next eight years, nobody would do it worse. …This morning I paid my first proper money into my bank account. It was precisely £5.00, or rather five one pounds – or alternatively 10 50ps, or 20 25ps, or 20 25ps, or 50 10ps. Summer was still as thrilling as ever, then. 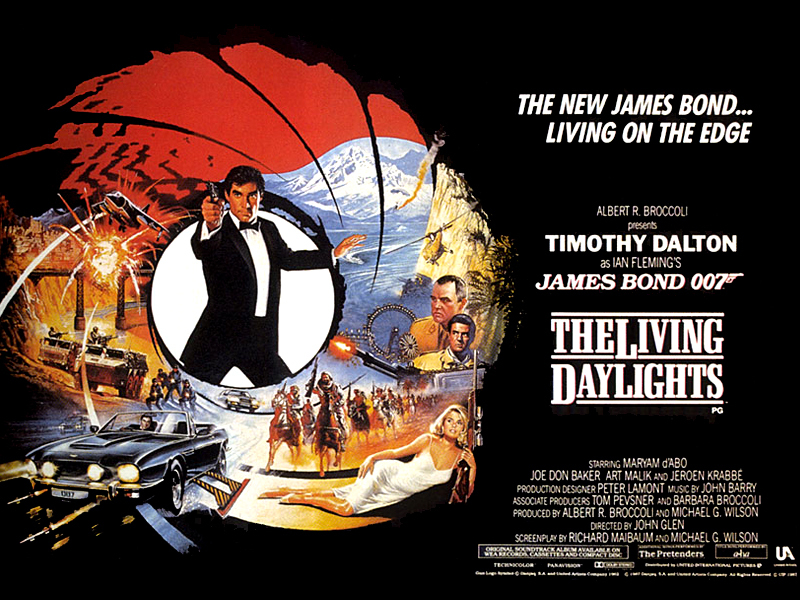 …I cannot quite describe how it felt to see The Living Daylights. I also cannot quite describe what happened in it. There was plenty of action and not so many love scenes. I did indeed go and see it again, a couple of weeks later. And I have seen it several times since. But I still can’t work out exactly what is going on. The film has one of the best-ever Bond themes, a smashing soundtrack, enticing locations (you can never go wrong with the Iron Curtain) and some superb action sequences. 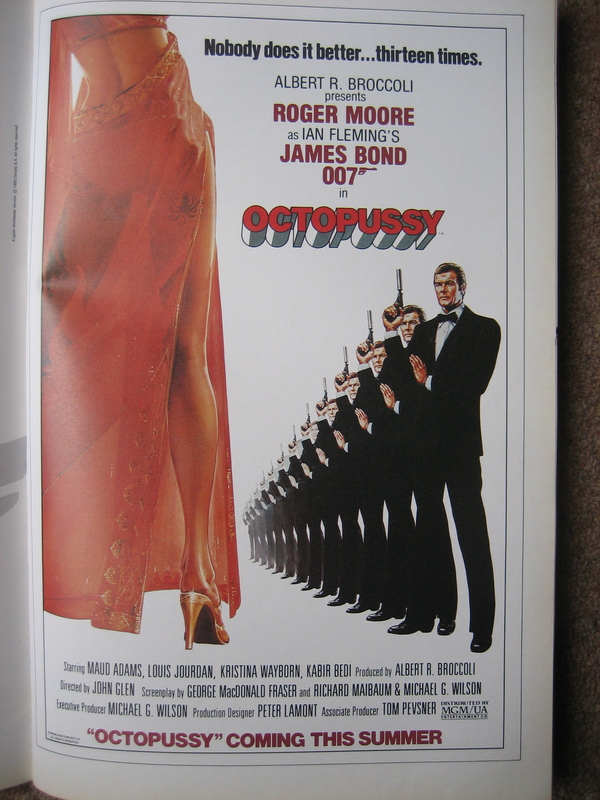 There’s also the dangerously tedious sequence where 007 is being given a dressing-down by Saunders, head of Section ‘V’, Vienna. We know this, because his first line is: “Saunders, head of Section ‘V’, Vienna.” He continues: “You’re BLOODY late. 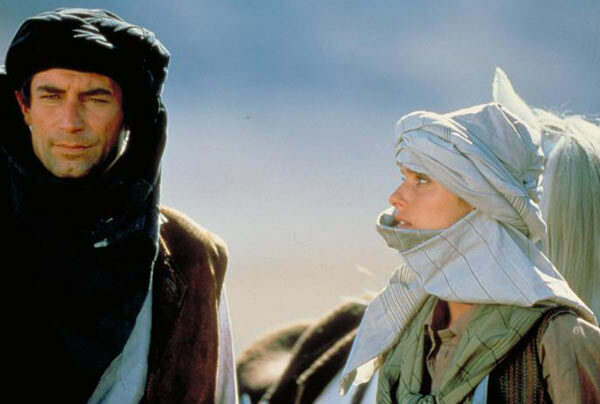 This is a mission, not a fancy dress ball.” “We have time,” Timothy Dalton replies, boringly. And this happens in the first 10 minutes! When we should be being told, repeatedly and excitingly, that the person who has replaced Roger Moore is the best thing since, well, Roger Moore! I couldn’t really articulate my response to The Living Daylights in 1987. I’d enjoyed it but not as much as I’d hoped. It was all a bit… different. It was the last time I’d see a new Bond film in the cinema for eight years. The next time round I knew exactly how to articulate what I felt, which was a fusillade of joy. go and see The Living Daylights together at the cinema. We’d only got back from Devon the previous day, but evidently I wasn’t going to waste any time in organising what for me would be one of the real highlights of the summer. I think the film must have been out for a good couple of weeks or so. I remember reading about it in the newspaper while we were away, and being hopelessly envious of what I presumed to be every other person in the entire country who’d already seen it. Like around 97% of what I wrote in my diaries of 25 years ago, this all seems laughable now. But I was really quite anxious, insufferably so, that I would miss the chance to watch The Living Daylights in the cinema, and hence not get to see it for A FURTHER FIVE YEARS until it had its TV premiere. 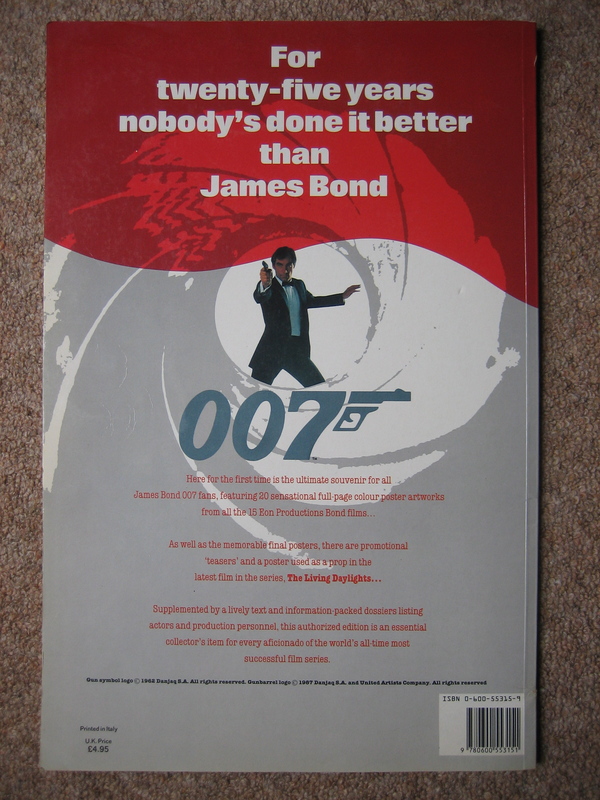 I was also gripped with impatience, fuelled by a sense that I hadn’t paid enough attention to the Bond franchise two years earlier, when the previous film had been on general release. 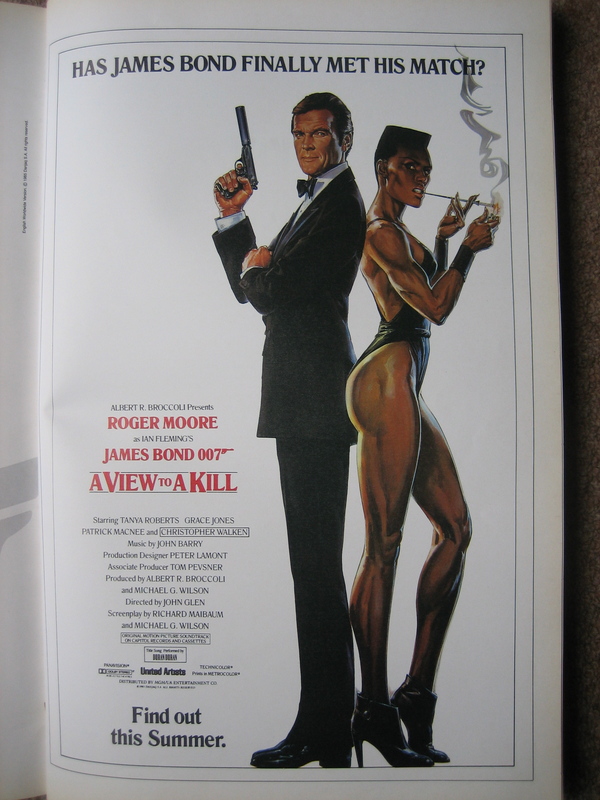 Back then I’d only decided to go and see A View to a Kill on the recommendation, as I’ve mentioned here before, of Jimmy Greaves on TV-am. 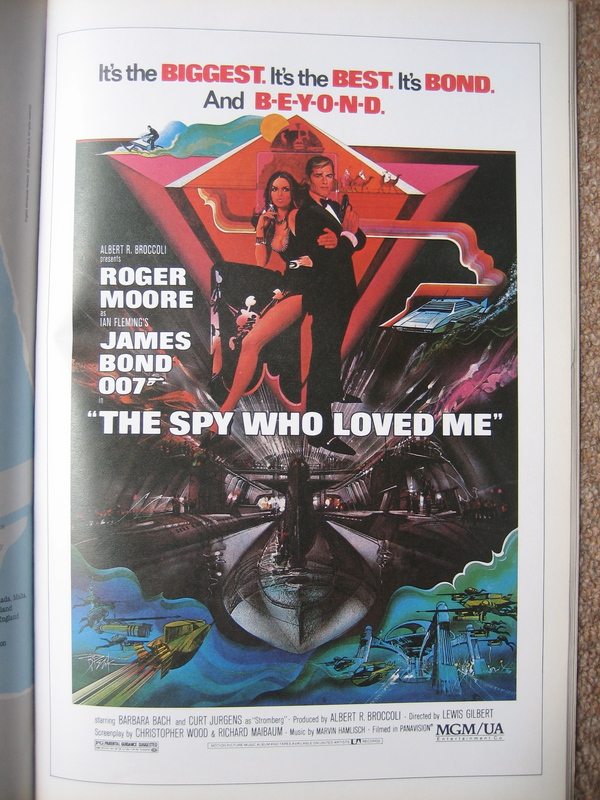 Yes, had it not been for Greavsie, I might never have fallen in love with 007. Well, I probably would have done eventually, just not in time to see a gurning Grace Jones towering 30ft high on the big screen: a grisly experience at any age, but positively bonechilling to a naive nine-year-old. A quarter of a century later, I can see The Living Daylights whenever I choose. I don’t want to, because unlike 25 years ago I don’t think it’s the best thing ever. It’s not even the best Bond film of The Greavsie TV-am Years. But I didn’t know any of this in 1987. All I knew is that I had to see the film before it, and the summer, left town.